You might assume that keeping employees happy would require more money or time off. And while both those things are certainly appreciated, employee happiness is a bit more complex. 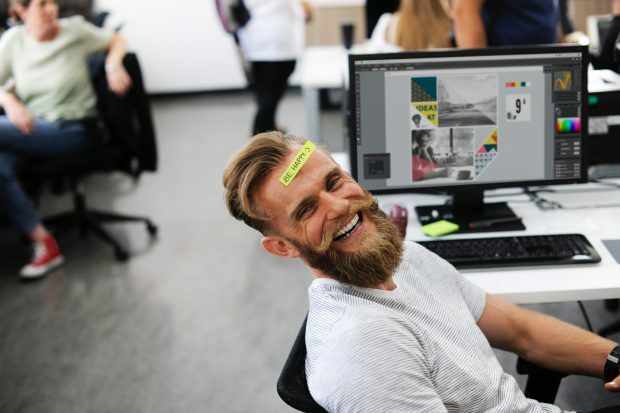 Employers are starting to recognize that keeping their employees happy and fulfilled at work means getting a little creative. The wellbeing and happiness of employees can affect their productivity, and therefore their overall enthusiasm regarding their work. Employers might be interested to learn that the Department of Economics at the University of Warwick found happy workers to be 12% more productive than the average worker, while unhappy employees are 10% less productive. Happy and engaged employees earn 1.2 - 1.7% more than their peers. Happy workers are more likely to problem solve in difficult situations faster than their peers. The book Getting Engaged: The New Workplace Loyalty, explains that an employee who is actively engaged cares about their jobs, the company, and daily performance. For an engaged employee, it’s about much more than just a paycheck and benefits. These are the people who will put in extra effort without being asked and will ensure their work is done well. To create true employee happiness that will impact productivity, engagement, and profit, you have to look a bit outside the standard box of employee benefits. No one will turn up their nose at a pay raise, but money can only go so far when creating a lasting change. Book clubs or free books: most people don’t have the time to read for pleasure anymore, so offering something as simple as a free book, or book rental program, can help enable employees to enjoy their downtime by getting off their computers and more into their creative sides. Unlimited time off: instead of having employees count their days off and try to hoard them for certain needs, providing unlimited time off means that you need to be engaged and productive in order to be able to enjoy your time out of the office. Many companies have ways to manage this, and ensure that not too many people are out at once. You might need to consult with you HR team, but but it’s a great way to make workers feel that their daily hard work is appreciated. Continued learning: providing an opportunity for continued education is a way for employees to expand their skills, do their jobs better and more efficiently, as well as help make a revenue impact on the business. Certificate programs, day-long trainings, seminars, and guest speakers are ways to provide continued learning for your workers. Other popular engagement tools are allowing pets in the office, (within reason), providing full or prorated gym memberships, and free food in the office. The long term results of unhappy and disengaged employees will lead to negative attitudes and low productivity - both of which can affect your bottom line. Studies have shown that low-level engagement will result in a 33% decrease in operating income and an 11% decrease in growth. However, on the flip side, companies with high-level engagement have a 19% increase in income and a 28% increase in earnings growth. A company can stand out from their competition by utilizing their greatest asset: their employees. It has been made clear that satisfied employees create satisfied customers, who then spend more money with your company and spread great word-of-mouth reviews. Money can’t necessarily buy you happiness, but happiness seems to be the link to monetary growth.